Well, we knew it was coming. It was about two weeks ago that we told you of a change to YouTube that would essentially break it for older smart devices. That unfortunately includes DIRECTV DVRs, since they were still using an older code base to provide YouTube support. Following comments from Mike White this week that YouTube “might” be going away, well… it did. The YouTube icon is now missing from the Extras menu on DIRECTV DVRs, and the smart money is on it not coming back. 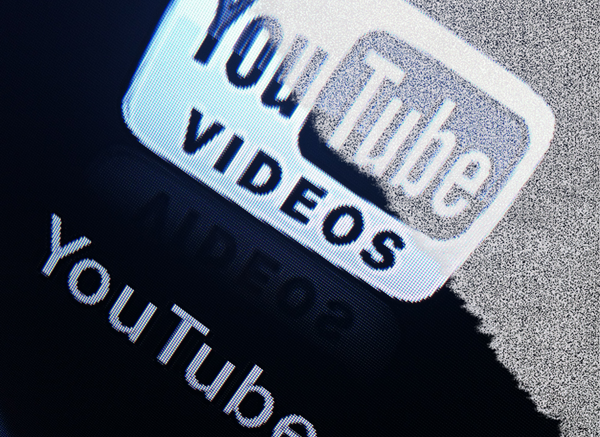 DIRECTV introduced YouTube support about four years ago, and while it’s been successful, there have been a whole new generation of streaming devices that do YouTube support better. Personally I found that YouTube videos watched through DIRECTV were rarely in HD and sometimes had the wrong aspect ratio. DIRECTV never offered the ability to log in with your Google ID, meaning that you couldn’t really personalize the list either. As such, when I heard that YouTube support was going away I didn’t terribly mind. It’s hard to know if support for YouTube within DIRECTV devices will ever come back. Even though DIRECTV is expected to remain a separate business unit for up to two years after the AT&T deal closes, there’s still going to be some consideration of what AT&T wants. It’s quite possible that Randall Stephenson and the new AT&T overlords will want a more centralized box that provides not only YouTube but Hulu, Amazon, Google and even Netflix support. That will be up to them to decide. Not that long ago, cable companies viewed streaming services as the enemy, but since nearly every pay-TV company now offers internet as well, the situation’s changed. Creating a positive environment for streaming means that you can charge more for high-cost, high-speed internet and that’s expected to be a much bigger profit generator than conventional pay TV. Letting a company like Hulu or Netflix handle the delicate negotiations with content providers is also a lot more appealing than the almost constant dance that pay-TV companies do now, barely avoiding blackout after blackout. I’ve been asked from a technical perspective if I thought the DIRECTV hardware could support streaming apps. The answer there is an unqualified yes. Certainly there would be some issue with putting Netflix on a 9-year-old HR20, but when it comes to Genie, this is a very powerful box; it’s got tons more power than a ChromeCast or Amazon Fire stick. A Genie DVR is really just a specialized PC that runs its own programs over a fairly standard Linux install. It wouldn’t be hard to add Netflix, Hulu, or YouTube, but it would require rethinking the way that HR resources are allocated. Someone has to write that code and figure out how it interacts with the other code in the DVR. Certainly, I would not expect a return of that YouTube app until after the AT&T deal closes and possibly not for months after that. You have to imagine that everyone at DIRECTV is working hard to create a smooth transition for customers and that’s taking a lot of people’s time to accomplish. The research from DIRECTV showed that while people did like and use the YouTube app, losing it wasn’t a dealbreaker and it certainly seems like the folks at DIRECTV have more important stuff to worry about at the moment. Can you still have a Genie 2 if you have more than 7 TVs?